30 years ago, the founders of Angel Products noticed that the Healthcare Industry in Australia was struggling with funding. As the concept of an ageing population was coined and developed, so too was their desire to help Australians easily access quality healthcare. 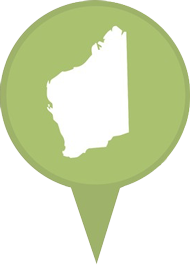 They set about creating a 100% Australian-owned and operated company which has the ability to create, source, manufacture and deliver quality WA-owned products into Perth and interstate. We now service the Health and Medical Industry with quality products at a more competitive price than other suppliers. ‘Looking Forward’, we have positioned ourselves as WA’s leading supplier of all things for health, medical, laboratorial, dental, veterinary, wellness and alternative medicines. We have grown to include a strong research and development team, procured the best specialised equipment and machinery designed specifically for the manufacture of medical products, developed environmentally ethical manufacturing and sourcing procedures, established a strong supply chain and assembled a team who are people-focussed and enjoy servicing your needs. We are continually adding to our product lines to expand our range, and adapting existing ranges to reflect changes in population trends and healthcare needs. Our aim is to provide products of only the highest quality, with the best service, at a competitive price.